Congratulations to all 19 CrossFit Preferred members that raced the Spartan Race this weekend! It was so much fun! More details to come! 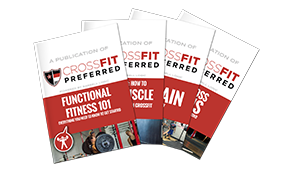 We will be creating a CrossFit Preferred team! Complete 500 Strict Pull Ups (no Kipping or Butterfly Pull Ups), 500 Push Ups and 10 miles of running per week in the month of February! If you do not have pull ups or push up start where you are! If you have not been running. Run 5 miles per week.